Numerous articles, reviews, and books have been published on how to create a perfect work environment. Environment seems to be key to success, because without a great environment even great ideas are useless. In the last decade a lot of companies have embraced the idea of creating innovative office ideas and have moved away from dedicated offices to open floor plans and unassigned seating, where teams from different functions work and meet. Some office floors are being built smaller with glass-walled offices, private conversation rooms, and self-service kitchens to promote frequent, physical, spontaneous interactions. It is a natural desire of leaders to have their teams around them – even corporate executive teams typically share the same office floor, building, or area, and this is often where the company headquarters is situated. But should members of a corporate executive team really share the same facilities with their peers, rather than sitting close to their functional teams in the respective regions, countries, or affiliates? Frisch argues that efficiency at the top might cause a cascade of inefficiency elsewhere. It is vital for all global leaders that they maintain the physical link with their teams across the continents, who often are a geographically dispersed workforce trying to compete in their market by building the best functional expertise from around the world. Yet many executives find themselves in endurance leadership mode, running and flying around the world, meeting everyone, and visiting sites in order to create alignment and direction. With the rise of new technologies and ways of collaboration the way we are interacting in the business context has changed. Skype for business, videoconferencing, and Halo rooms have become indispensable. 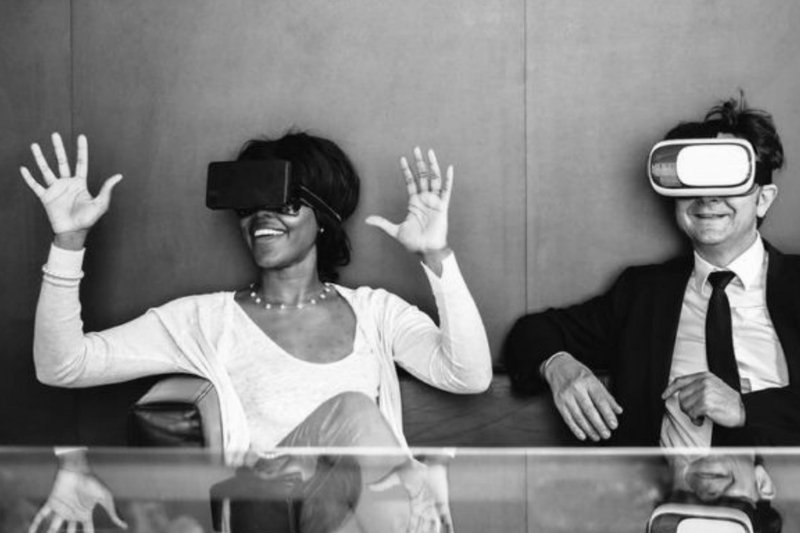 Several companies are currently working on ideas on how to bring VR technology into, but not only, the boardroom, which will facilitate the communication between those globally dispersed teams. This idea is also interesting from a talent attraction & development point of view. Career ladders up to the top team are often directly linked to mobility and therefore limited to those talents who are not restricted in this regard. Yet it would be desirable to profit from a much larger pool of internal and external talents for the succession of executives, wouldn’t it? So then the CFO of a company would be located in Asia, in the same building as the regional finance team, whereas the Global Marketing Head would be situated in Europe, next door to the European Marketing team (and so on). I must acknowledge that the idea of building only virtual teams is a risky approach, and people will still ask for physical proximity and physical collaboration. That’s why with this approach talents will have to commit to travel frequently to the location of their teams, and will also need to create alignment and direction remotely from an affiliate, cluster, or region of the respective company. With this we will change from a “being mobile to relocate” to a “willing to travel frequently” model. But companies will profit from fishing from a much larger sea of talents (mobile or not [now] mobile). Assuming that in the future global leaders will more frequently lead from a remote location, rather than from a centralized headquarter, the complexity of how to connect and collaborate with globally dispersed teams remains challenging, and will most likely increase in its complexity. In an IMD article from 2014, Martha Maznevski and her colleagues describe an interesting approach for global leadership and global teams. According to this IMD team many multinationals traditionally focus on differentiation and integration, and try to include both aspects. When it comes to leadership these two aspects are however less helpful, as to why they suggest the concept of variety (defined by determining the number of different environments in which you lead) and connectivity (the interdependence between the people you lead, or the extent to which you need to bring others to connect and respond to one another across boundaries). If an executive chooses to create more connectivity between the different areas of their teams, the level of complexity will increase. If well-coordinated, this can also lead to more strategic benefits in a competitive market. But how to cope with higher connectivity in an environment with a high degree of variety? Maznevski and colleagues propose the TACK model with clearly defined questions, as a guide to leading with connectivity. The TACK model is mutually reinforcing and doesn’t need to be developed in a sequential way. Most of the global leaders have at least some TACK, but they still need to prioritize to repeat high performance across contexts. Some unmet opportunities might lie in developing one’s own individual global leadership competencies and in increasing mutual organizational support. The professors suggest four fundamental leadership competencies (perception management, relationship management, self-management, and moral management) and four organizational support factors (organizational structure, technology & presence, performance management, and development) to transform leadership and organizational competencies in companies. The TACK model provides new ideas for companies to cope with complex questions in the global environment and stresses the fact that leading global teams goes far beyond cultural differences. Finally the TACK model also provides a good platform to start discussion on where members of the executive teams could be located. Last but not least, the TACK model could also provide a starting point to define a new way of global collaboration with a much larger pool of internal and external talents who are eager to see career paths which are not limited by their (private) mobility restrictions. I simply want to tell you that I am just beginner to blogging and certainly enjoyed this blog. Almost certainly I’m want to bookmark your blog . You definitely come with wonderful article content. Thanks for sharing with us your website page. hello there and thank you for your information – I’ve definitely picked up anything new from right here. I did however expertise some technical issues using this web site, since I experienced to reload the site lots of times previous to I could get it to load correctly. I had been wondering if your hosting is OK? Not that I am complaining, but sluggish loading instances times will often affect your placement in google and could damage your high quality score if advertising and marketing with Adwords. Anyway I am adding this RSS to my e-mail and could look out for much more of your respective intriguing content. Make sure you update this again soon..
Hiya, I am really glad I have found this info. Nowadays bloggers publish only about gossips and net and this is really annoying. A good web site with exciting content, this is what I need. Thank you for keeping this website, I will be visiting it. Do you do newsletters? Can not find it. It is truly a great and helpful piece of information. I am satisfied that you shared this helpful info with us. Please keep us up to date like this. Thanks for sharing.